Join Nordstrom Rewards (free to join) and you’ll earn a FREE $10 certificate to spend at their Anniversary Sale (July 21-August 6) at Hautelook, Nordstrom or Nordstrom Rack. FREE MONEY! Once you join, you will need to verify with your mobile number to get your certificate which will come via email at the email address provided on or around July 21st. There is a limit of one certificate per customer and current Rewards Members are not eligible to participate in this offer. 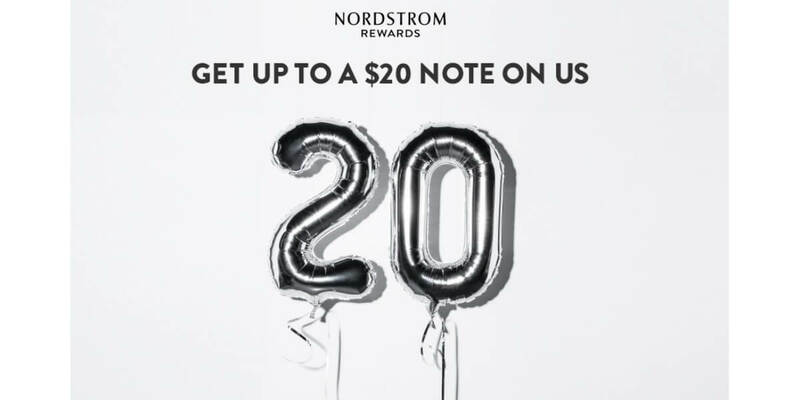 If you choose you can also get approved for a Nordstrom credit card by July 9 and when you make a purchase anywhere in the world of Nordstrom the day you’re approved, they’ll give you a $20 Nordstrom Note. Also, as a cardholder, you’ll get Early Access to the Anniversary sale! This is a limited-time offer. Eligibility restrictions apply and depend upon credit approval. Current Nordstrom debit and credit cardholders are not eligible for this offer. Limit one Note per customer. Must be approved as a Nordstrom cardholder and make a purchase by 11:59pm (Pacific Time) on July 9, 2017. Notes will be activated by July 21, 2017. **This is a limited-time offer. Current Rewards Members are not eligible to participate in this offer. Must join Nordstrom Rewards as a Member by 11:59pm (Pacific Time) on July 9, 2017, and verify your mobile number. Limit one Note per customer. Notes will be activated and sent via email at the email address provided during enrollment by July 21, 2017. †Nordstrom Note terms and conditions apply. Note may not be returned for cash (except as required by law) or applied as payment on any account. Nordstrom reserves the right to cancel these offers at any time, including for fraudulent sign-ups. Void where prohibited. The Nordstrom Rewards program is subject to change at any time. Points earned as a Nordstrom Rewards member and points earned as a Nordstrom cardholder are considered separate and cannot be combined.